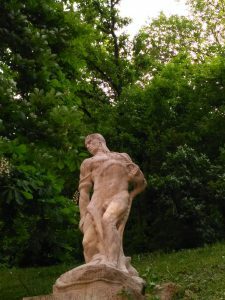 Have you ever wondered why there are so many statues in the Hungarian capital? 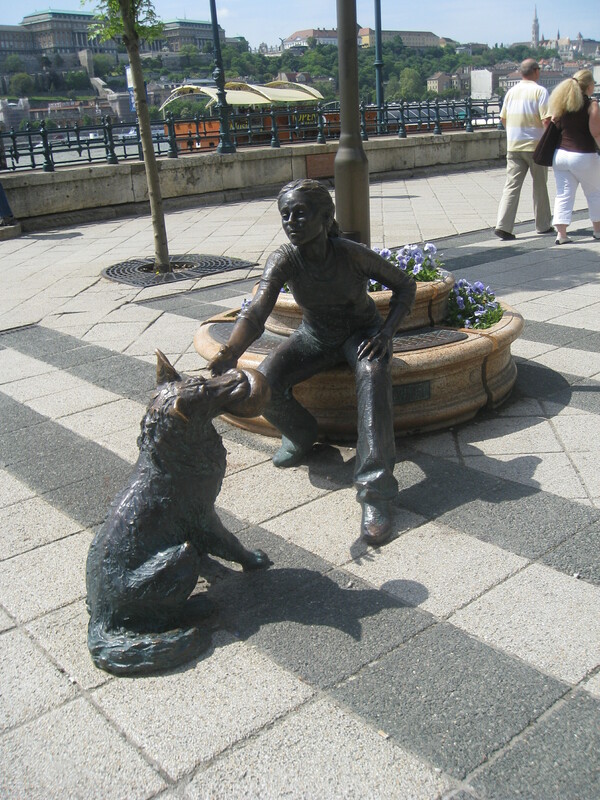 You just simply cannot walk around the city for 5 minutes without bumping into at least one carved or bronze figure. Or two… Or even more in the inner city, where you will find interesting sculptures staring silently at each and on every corner. Of course, Hungarians like paying homage to their former kings, poets, authors, martyrs, freedom fighters and all their heroes. And people admire them every day and they won’t be forgotten. Generations are encapsulated in these sculptures. There was a time when you could also see gigantic bronze communist leaders and huge concrete waving comrades all over the place. But this period is over. All those statues are gone from the inner city and can only be seen in the open air museum, called Memento Park. But the real heroes stayed. And new ones emerged. But what happens when you walk around the piece of art but there is no name or date to see? You do research but find nothing or maybe different urban legends, but no real story. 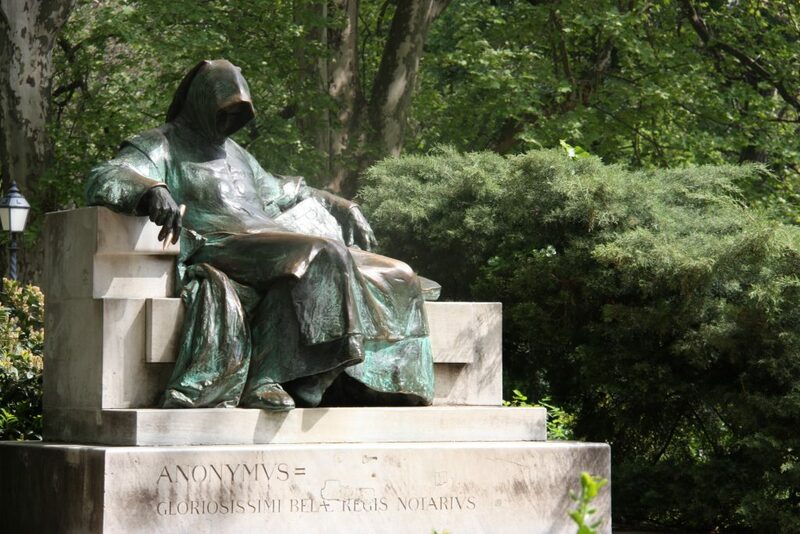 These are the real random statues of this city, the silent watchdogs, if you like. They are your most loyal friends, the never resting observers of daily life and the witnesses of big and important happenings. Who are they? Sometimes actually there is no historical figure or real story behind them. Hungarians have these statues for fun. Maybe they make city more friendly and now have become part of it. Each is telling stories of the people and the history of the place. They speak without words, but they are proud to remind you of their telling of time. Each and every one of them is a bit of an icon in Budapest. And why do they all have a shiny part? Because you have to rub the shiny bit so that it brings you good luck. (Or polish them a little more, so others will think it brings them good luck…) Who needs four-leaf clovers or horseshoes if there is a lucky charm on each corner?